In 2009, Dave and Ellen Singh adopted a 5-year-old from India. Although he had been attending a school, the boy they called Deelip had no words, no signs, no way to communicate beyond using gestures. The Singhs have a picture of him in the orphanage wearing an antiquated body-worn hearing aid that would have been ineffective for a profoundly deaf child. In their adoption search, the family was looking for a child they could help in a significant way. 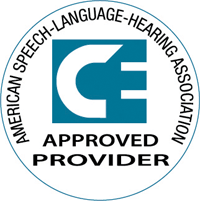 Five years prior, Ellen had lost all of the hearing in her left ear due to bacterial meningitis, so she was specifically seeking a child with hearing loss. She met Deelip and immediately bonded with him. Before the adoption, the Singhs wanted to be sure programs were in place that would give their child everything he needed to thrive. They spoke with doctors at St. Louis Children’s Hospital and toured the CID school. When they brought their son home and named him William, they already had a timeline for cochlear implant surgery. He received bilateral devices in January of 2010, then enrolled in the CID pre-k. With help from his school district in Edwardsville, Illinois, he rode a bus to CID for up to an hour each way for the next eight years. We can’t wait to see what the future holds for William and for many children like him for whom early intervention, technology and a CID education profoundly changes the trajectory of life. Children who graduate from CID typically attend college. Many pursue professional careers. But no matter what paths they take or choices they make, they leave CID with greatly expanded opportunities to communicate and succeed. Peter came to CID shortly after his birth hospital indicated the need for further hearing testing. His initial diagnosis was moderate hearing impairment. CID audiologists fit him with hearing aids and began monitoring his hearing at 4 months of age. CID family center staff visited the family at home from the beginning, to support them and help them begin to teach Peter to listen and talk. By his first birthday, Peter had gained 20 or 30 words. By the time he was 18 months old, he lost all of his hearing and all of those words. 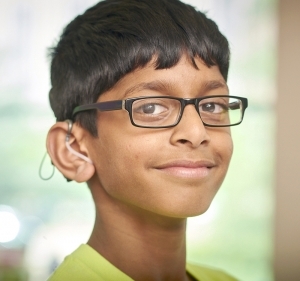 It was difficult for his parents to accept the second “hit”—the progressive decline and final diagnosis of profound deafness in both ears—but they had the guidance and support of a strong professional community of audiologists and educators at CID. 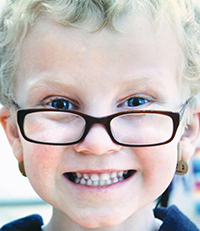 In November of 2007, when Peter was 21 months old, he received two cochlear implants—one in each ear—on the same day. At age 2, he attended CID’s toddler class. He had balance issues related to his hearing loss, so an occupational therapist worked closely with him and his teachers as he learned to get his bearings after learning to walk late. Over the next three years, he worked hard but had fun in his play-based CID pre-kindergarten, then kindergarten classes while receiving individualized attention in the areas he needed most. He received an intensive education designed to target his specific needs in developing speech, spoken language, academic and social skills. 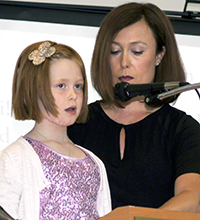 Jocelyn Westerfeld’s parents did not learn she was deaf until she was nearly 3 years old. Her speech was almost unintelligible to everyone but her closest family members. The school district told them to get hearing aids and put her in school; she’d be fine. She was not fine. After a year, behavioral issues persisted and she still struggled with her speech. The Westerfelds found CID in 2014 after reading an article in the St. Louis Post-Dispatch about its centennial celebration. They enrolled her in the CID school, and she began to respond almost immediately. Within the next three years, she received two cochlear implants. Her speech improved dramatically and she more than caught up to grade level with her peers who could hear. She graduated from CID at age 7 with a President’s Education Award for Outstanding Academic Excellence. Now she attends an elementary school near her home and does everything her friends can do. She is a Girl Scout. She goes to karate classes and is an amazingly poised, natural leader. She loves to read and to discuss all of her big thoughts and ideas. She loves animals. Someday, she would like to become an animal rescuer. Today, Jessica is enjoying a thriving private dental practice in Fenton, Missouri. In 2006, she received bilateral cochlear implants. She said she can now hear sounds she couldn’t hear with her hearing aids—including her children’s voices. All of his life, Charlie has played sports. From water polo and lacrosse to golf and baseball, athletics are in his blood. He attended the University of Massachusetts and Lenoir-Rhyne College, where he earned a bachelor’s degree in sports medicine and athletic training in 2001. Charlie served as an athletic trainer for the USA men’s soccer team at the 2009 Deaf Olympics in Taipei, Taiwan. He has worked with the Auburn University football team and the track and tennis teams at the University of North Carolina, Charlotte. He was assistant athletic trainer at Anderson University in South Carolina before he moved to St. Louis and became an athletic trainer at PRORehab pc and Eureka High School. Charlie loves working with student athletes to prevent, evaluate, treat and rehabilitate sports injuries. He praised the CID teachers for helping him acquire speech and social skills. “They give full time attention to each student and that makes all the difference,” he said. For nine years, Allison Guerra and her mom or dad made an 80-mile commute every day to attend CID. In 2003, she graduated and entered fifth grade in an elementary school near her hometown of Jerseyville, Illinois. She made her transition to general education look easy, becoming a straight-A student and a member of the High Honor Roll. She played club soccer and also made the school basketball team, which went undefeated. “What’s really incredible is the study habits that have been instilled in Allison,” her mother, Melissa, said. “She is extremely goal-oriented. When she had a test, she studied every night and was motivated to get the best possible grade. ”Allison has a cochlear implant, but still has to work extra hard because of her deafness. “We had the best for Allison at CID and so we expected to continue to receive the best possible services in the school district,” Melissa said. In high school, Allison played cross country track and soccer. She was active on student council and art club and was a member of her school’s Homecoming Court in her junior and senior year. Now she attends college. At 6 months old, Tommy Horejes was diagnosed profoundly deaf. His parents brought him to CID, where he spent 11 years learning to listen and talk. In 1990, Tommy graduated from CID and started classes in an elementary school with hearing students. Just a few weeks into the school year, he was elected president of his fifth-grade class. Success followed Tommy throughout his academic career. In high school, he served on the student council and played three varsity sports. He became serious about a career in law when he saw “the injustice of the legal system toward disabled people.” Tommy earned a BS and a master’s degree and, in December 2009, a PhD in Justice Studies, specializing in disability policy, from Arizona State University. As an assistant professor in the Gallaudet University Department of Sociology, he was a member of a research team with a three-year grant to compare kindergartens for deaf children in the U.S., France and Japan. He has served as the executive director of Deaf, Inc. and a member of the CID board of directors. In 2017, he became Associate Provost for Student Success and Academic Quality at Gallaudet University in Washington, DC. Tommy’s eight-page vitae includes academic manuscripts, lectures at sociology conferences in Boston, San Franscisco, Barcelona, Bethlehem City and Gothenburg, Sweden, committee work for the Society for the Study of Social Problems Accessibility Council and manuscript review for the American Educational Research Association and the Sociology Quarterly. His formal accomplishments began in the CID Boy Scout Troop 132 and including attaining the rank of Eagle and the Order of the Arrow. He also won a Northwestern University Book Award. “I will never forget the unconditional support my teachers at CID gave me,” he said. Heather came to CID in 1984 at the age of 11 because she was doing poorly in a general education school. She had lost most of her hearing when she was 18 months old. At CID, she was an extraordinary student. In just three years, she made six grade levels of improvement in reading—about twice the normal rate for a hearing child—and was ready for high school. Heather’s platform during her reign as Miss America was “Anything Is Possible.” She developed the “STAR” program to teach children five steps for success: be positive, believe in yourself, face your obstacles, work hard and build a support network. Heather attributes much of her success to her mother, Daphne Gray, who initially taught her to speak—and who became famous for showing her that the word American ends with the letters “I CAN.” Heather showed everyone the meaning of those words and won hearts around the country with a breathtaking ballet performance in the 1995 Miss America Pageant. Heather has since married and become the owner of a cosmetics company. In 2003, she received a cochlear implant. More than two decades after her reign as Miss America, she is still a popular speaker worldwide.